The cowbells of Sacramento are a thing in the past, but Kobe Bryant will make his last trip to city when the Los Angeles Lakers play the Kings tonight at the Sleep Train Arena. The Lakers lost to the best team in the NBA on Tuesday night as Kobe sat out with a sore shoulder and D’Angelo Russell missed the game due to a sore throat. Expectations for the Lakers to beat the Golden State Warriors were exceptionally low, as the Warriors have only lost two of their 35 games this season. The Kings are a significantly worse opponent than the Warriors, but they are still in playoff contention with more than half of the season yet to be played. The Kings recently fell short in a thrilling double overtime game in Dallas on Tuesday, but they will regroup in time for the Lakers to come into town. Frontcourt: The Kings have arguably the best center in the game, DeMarcus Cousins. Cousins is an absolute beast in the paint, as he crashes the glass with ferocity and can score with ease in the post. Cousins also attains a soft touch on his midrange jumper and he occasionally ventures out to the three-point line to nail a long ball. Cousins has expanded his range and is shooting a career best 31 percent from beyond the arc with about four attempts per game; the highest he has ever attempted in his career. Cousins has been incredible to start 2016, averaging 33 points and 15 boards per game in January. Starting next to Cousins at the four is Rudy Gay, who had an impressive scoring night as well, with 31 points, in the loss to the Mavericks. Gay was once a franchise player for the Memphis Grizzlies but they could never build a successful team around him. Gay is thriving in his second year with the Kings, averaging 18 points and seven rebounds, and he is the second best scorer on the team next to Cousins. Backcourt: Rajon Rondo has recently returned to form and looks like the player he once was on the Boston Celtics. 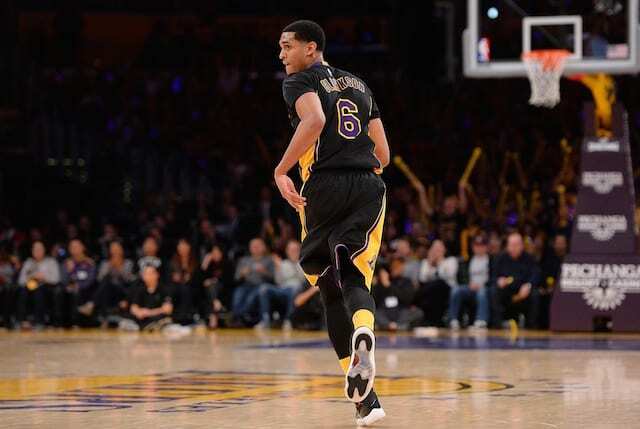 Rondo’s locker room antics can be questionable at times, but thus far it has not reflected on the basketball court. Rondo’s status for tonight’s game is questionable, as he sat out of the Dallas game with a sore back, but with Kobe coming to town for the last time, he will likely suit up. Rondo has passed the ball exceptionally well and has averaged 16 assists in his last three outings. In Rondo’s absence, Inland Empire native, Darren Collison, played a well-rounded game against the Mavericks. Collison filled the void by scoring 14 points and assisting 12 of the Kings buckets in 47 minutes of play. The six-foot former UCLA guard brings plenty of energy off the bench and harasses the opposing guards on a nightly basis. Deny Cousins: DeMarcus Cousins is the heartbeat of his team, and when he gets going it can be difficult to stop him. Once Cousins gets a rhythm he is nearly unstoppable, so the best way to halt his momentum is to deny him the ball completely. Hibbert will have a tough night matching up with the behemoth down low all night, but it is vital that the Lakers defend Cousins as a team. 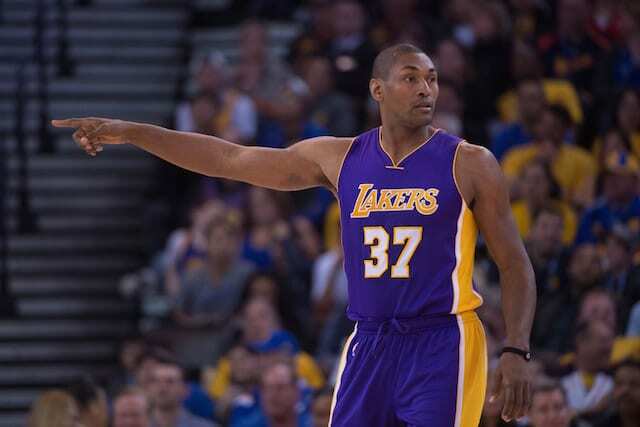 Hibbert will need all the help he can get down low, and stopping Cousins is the key to a Lakers victory. Limit Points in the Paint: In their first matchup, the Lakers allowed the Kings to score 80 points in the paint. By comparison, the Lakers only scored 38 points of their own in the paint. The Kings’ 80 points in the paint is a franchise record, and the Lakers need to redeem themselves for such an embarrassing outing from their last trip to Sacramento. Win the Rebounding Battle: In addition to being destroyed in the paint, the Lakers lost the rebounding battle to the Kings and were out rebounded by 19 boards. No single Laker reached double digits in rebounding, but that is likely to change with Larry Nance Jr. in the starting lineup and his activity crashing the glass. Team rebounding as a whole needs to be better when the Lakers go into Sacramento and it is the key to keeping the game competitive.